Romance Narrators: Alright, let's start with the news fresh in from Hollywood. You have a role in the new Kevin Hart film, Night School that just came out on Friday. Congrats! Tell us all about it. Janet: Teddy (Kevin Hart) is a high school dropout who has gotten by on his outsized personality to become a top barbecue salesman and get the girl of his dreams. But a series of unfortunate events drives him back to his old high school to get his GED. Only problem – the high school principal was his arch enemy in that very school. Teddy discovers this when he shows up at the school office and sees the principal cancel the music program, ordering the music teacher (me) to teach biology. My indignation was very grounded in reality. Before pursuing a career in acting, I was a public-school music teacher. I don’t have much screen time in this film – but as we say in theater, there are no small roles, only small actors. I got to work with Taran Killam of SNL fame and that was a lot of fun. Romance Narrators: Very cool! You have an alter ego - and we're not talking about a narration pseudonym. Her name is Bambola. Who is this mysterious woman? Where can we find her? What's she all about? Janet: Bambola, pronounced BOMB-buh-luh, was the ditzy lead singer for the DeLuxe Vaudeville Orchestra. We toured for about 15 years, mostly small-town community centers and the occasional dive bar. Her last appearance was as emcee for the International Jugglers Ground Hog Day late night cabaret. She sings tangos, and swing tunes a la Keely Smith. And she spins plates. I miss her. You can watch some of her more memorable performances singing and being a comedic sidekick on YouTube. Her fans hold out the hope that she may make yet another live appearance. Romance Narrators: Just watched on YouTube. She. Is. Awesome. Switching gears for a moment…you spin yarn? What does that entail? We're picturing you high in a tower wearing flowing, fairytale robes and spinning a golden loom while singing to the birds gathered around you. That accurate? Janet: How did you guess? Amazing! I have been a knitter since I was in college, and about 10 years ago I “accidentally” touched some amazing merino wool fiber just waiting to be turned into yarn. It wasn’t going to happen on its own, so I took some classes, got hooked, bought a spinning wheel and joined a spinning guild. Now I get raw fleece from local sheep and goat farmers, spin it into yarn and knit things with it. This year I began learning how to dye the fiber with plant material for gorgeous natural colors. 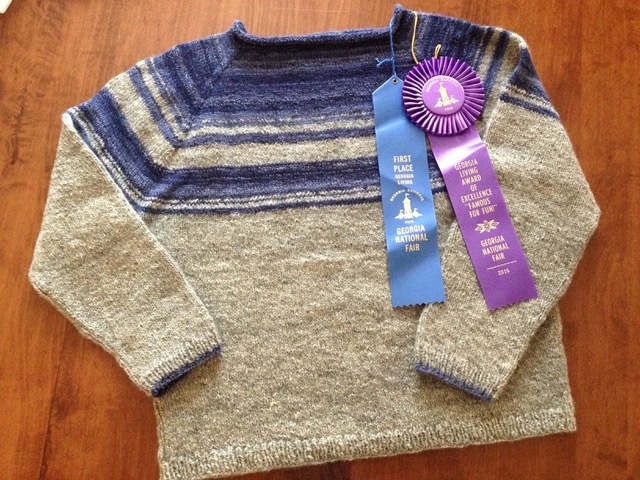 I’ve won quite a number of blue ribbons at the Georgia National Fair for my handspun, handknit items. I do not do any commission work, however. I’m very slow. This hobby has taught me patience. And a few new swear words. Romance Narrators: Tell us about living in the south. The people! The accents! The pies! Janet: I’ve always loved the South. Even as a child in Pittsburgh, I would play-act Southern characters. Moving to Central Florida as a pre-teen wasn’t typically southern, but it did introduce me to Jim Crow. That was where I first saw “colored only” signs. There were not many southern accents in Orlando, but when I attended college in East Tennessee, I heard so many wonderful accents, I just soaked them up. My French teacher was from East Tennessee. You can imagine… I have lived in Atlanta now for over 40 years, travelling all over and listening to every voice I can from Biloxi to the Piedmont, the mountains of Appalachia to the South Carolina lowlands. 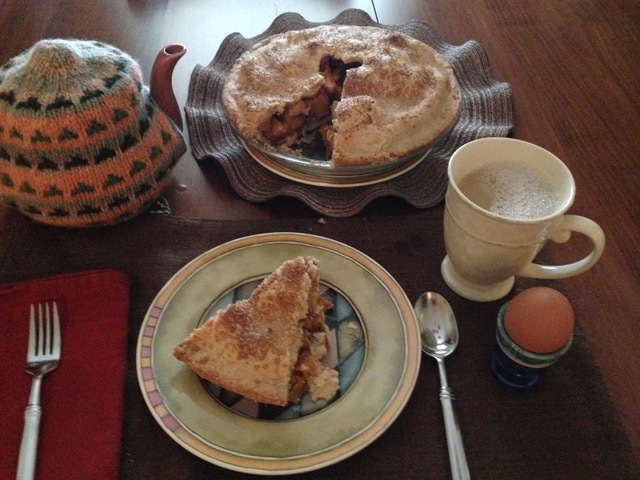 And no matter where I go, I can always find… pie! Sweet potato pie, coconut cream pie, fruit pies of all sorts. My problem – I am gluten intolerant, so I have mastered gluten free pie crusts and can now create any of those pies for myself to enjoy, and recall the wonderful overheard conversations where I first saw each pie from diners to meat-and-threes to the Waffle House. Romance Narrators: You're about to get back onstage after a bit of a hiatus. Plug those shows! How can we come see you in action? 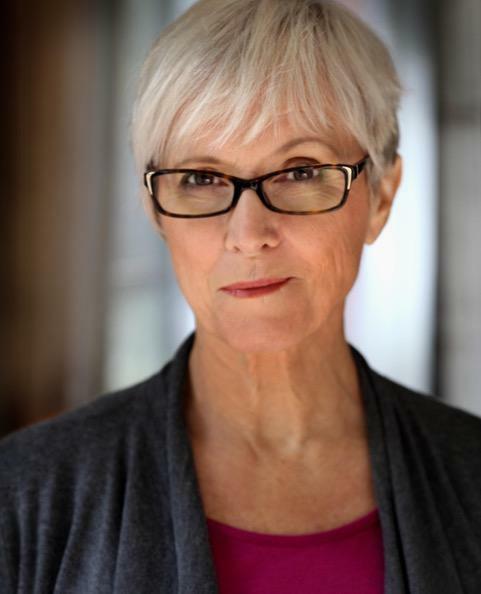 Janet: November 10-25, I will be appearing as Lady Alice More (Thomas More’s wife) in A Man For All Seasons at the Shakespeare Tavern in Atlanta. And May 2-19, 2019, I will play the lead in A.R. Gurney’s witty Love and Money at Stone Mountain’s ART Station. Romance Narrators: The Georgia Romance Writers Conference is coming this October. You'll be there with our pals Karen White and Emily Woo Zeller. What shenanigans will you ladies be getting into? Janet: After attendees are sugared up and caffeinated, the three of us will present a rousing Saturday morning panel designed to encourage authors to retain – or take back! – their audio rights, find the perfect Romance Narrator and build their following through audio. With the generous contributions of Brilliance Audio Publishing and Tantor Audio, we are providing gift baskets packed with wine, chocolate, candles and of course full of audiobooks narrated by folks from RomanceNarrators.com for the GRW raffle that benefits their work promoting literacy. And a little birdie told me that Emily will also be scouting for authors for her new venture, publishing quality, 'Byte-sized' audio stories in romance and erotica for the avid reader/listener. Ssshhh, it’s a secret! Janet: Naw, we’re over it. Got better things to do than jump in the dating pool, get all hot and bothered and… wait! Who am I kidding?! If you’re not there yet, have no fear. Once the kids leave home, life can get a whole lot more interesting. Of course, life has its way of throwing us some serious curve balls. Many of the books I’ve narrated tell stories of women who have lost their mates through death or divorce, leaving them high and dry and wondering if they will ever find romance again. But we do! And it is amazing! It seems to come out of nowhere, when it is least expected, and when a woman has years of life experiences under her belt, she often knows more of what she wants. It’s especially interesting when she hasn’t got a clue, and she learns a whole new way to be in the world. After the breakup of a 25-year marriage, the protagonist in Patricia Sands’ 3-part series Love in Provence ends up leaving Canada for the south of France where she discovers ALL the pleasures that magical place reveals. I loved narrating this series for its food and travel stories as well as its romance. 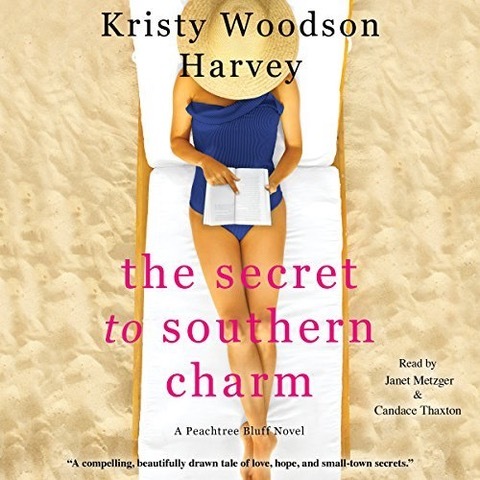 My most recent series of romance featuring a “woman of a certain age” is Kristy Woodson Harvey’s, Peachtree Bluff series. Check out The Secret to Southern Charm. Romance Narrators: Tell us about your work with Sherryl Woods. You've narrated quite a few of her titles. What keeps you coming back for more? Janet: Sherryl is one of those writers who knows just what her fans love, and I have loved helping her give it to them. My very first romance was a stand-alone by Sherryl called Amazing Gracie. That was the first time I spoke of “chest hairs glistening in the sun!” Then I was chosen to narrate her Sweet Magnolias series and did 8 of those. A trio of best friends in Serenity, S.C., support each other through trying times with husbands, boyfriends and teenage kids. As new friends were added to the group, I grew with them. When it was time to start telling the stories of the next generation of women in Serenity, a younger narrator was needed for the last 3 books. Such is life. Janet: I am about to begin recording Dodging and Burning, a murder mystery/romance by John Copenhaver, along with narrators Elizabeth Wiley and Kyle Los, for Blunder Woman Productions. This book falls into my other favorite genre, historical fiction set in the Appalachian region of the South. Then I will take a short break from recording for a deep dive into Tudor England, the theater project I mentioned.